Vizit can now be configured at various scopes within SharePoint. Users can now get Vizit Social Footnotes (unique URLs) without opening an email. Added the page count for documents next to the page number in Vizit Essential. Vizit Essential now supports TXT, SVG, EML and EMLX files. Vizit SX now supports NewsGator version 2.6. Vizit now supports displaying buttons next to XSLT-based List View Web Parts that have AJAX functionality enabled. Vizit Pro now supports side by side viewing of a modified document to its unmodified version. Vizit Essential cache performance has been significantly enhanced. Vizit Essential now shows document icons in place of unsupported formats in list and search results. Vizit now supports document links ending in #vizit. Better handling of malformed PDFs when printing. Fixed the display of Vizit buttons in FAST search for IE. 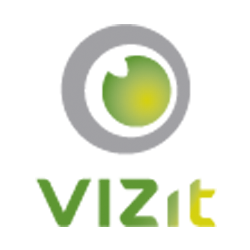 Vizit buttons will no longer display next to list items, discussions, sites, or web pages in search results. Vizit buttons will also no longer be displayed next to the following content types in Document Libraries: Forms, Master Pages, Basic Pages, Wiki Pages, WebPart Page, and Document Links. Addressed an issue with button alignment next to checked-out items. Addressed an issue with attempting to open ASPX pages. Addressed an issue where SharePoint’s scroll bar would not appear in Google Chrome. Addressed an issue related to not rendering large frames. Addressed an issue causing the default rendition service configuration to fail. Addressed an issue with quoted content in emails. Addressed an issue which prevented certain navigation keys from working when adding comments. Addressed an issue with handling certain large comments. Addressed an issue where user profile pictures would fail to load in certain Alternate Access Mapping configurations. Addressed an issue with scanning to subfolders when on non-library pages. Addressed an issue where certain keyword search scopes were failing. Addressed an issue with drop down menu widths in IE9.